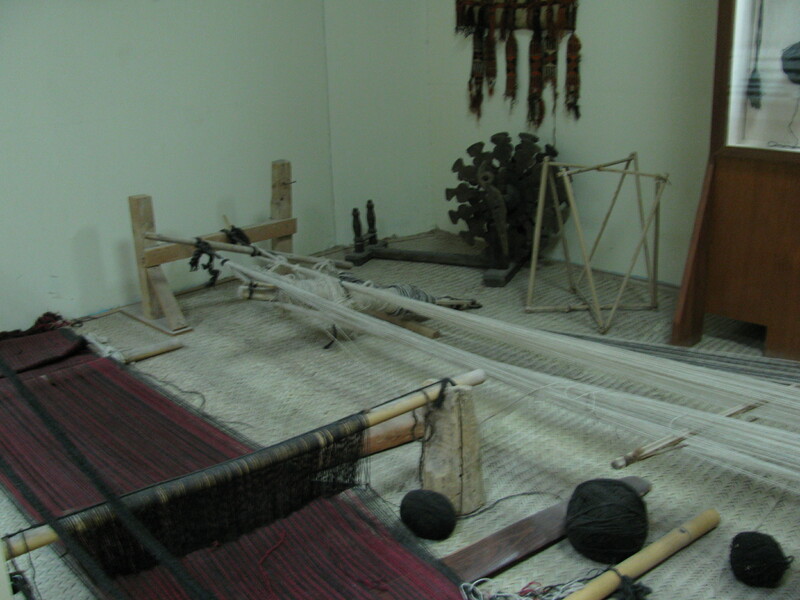 The Al Ain National Museum is located in Al Ain, United Arab Emirates. Admission for the museum is less than $1 US. Amongst the museum treasures was an old loom. 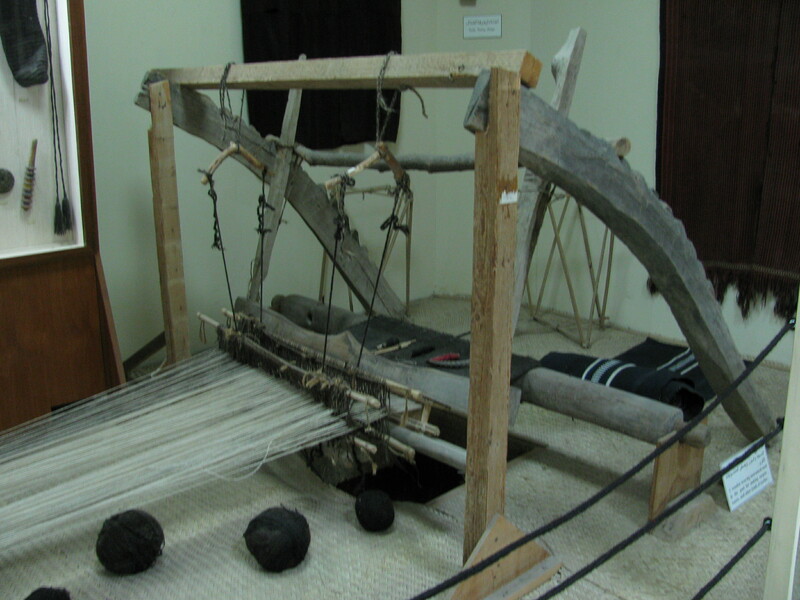 The sign stated: A wooden weaving instrument used in past for making carpets, wazra and other kinds of textiles. Wikepedia define wazra as a big rectangular blanket made of camel-hair.